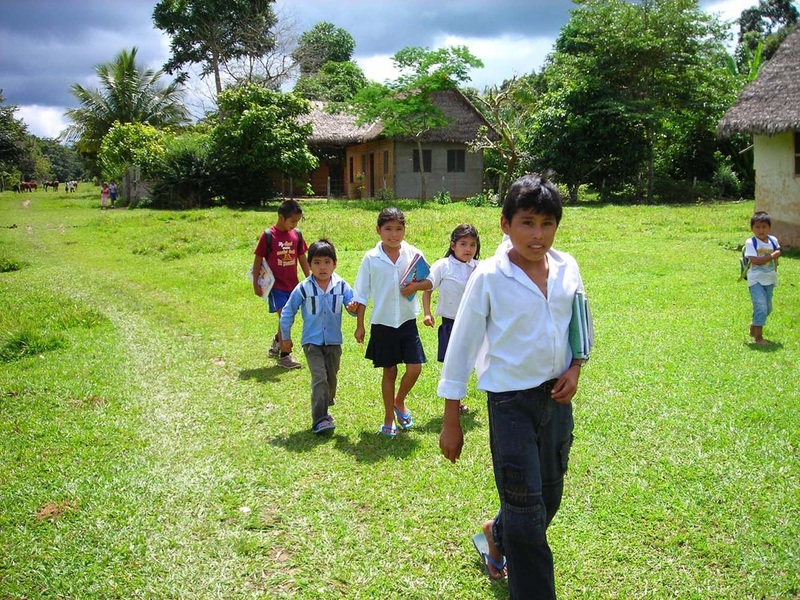 The children of San Jose de Uchupiamonas on their way to school. Three hours upriver from Berraco del Madidi lies the Quechua-Tacana community of San Jose de Uchupiamonas. In the village, more than three-hundred residents live in harmony with the rainforest, as they have for hundreds of years. Cultural values are passed down from generation to generation, ensuring the survival of local craftsmanship and medicinal plant knowledge. Even today, thatched roofs and dirt roads continue to define the landscape of the community but the town hall is now illuminated by solar electricity. In addition, the economy of subsistence farming has shifted to include prestigious eco-tourism initiatives. In San Jose de Uchupiamonas, the community works to preserve traditions while integrating modern sustainable initiatives. Pedro Macuapa, founder of Berraco del Madidi, was raised in this indigenous community and maintains close ties with his family and friends there. In order to give back to his village, he employs members of the community and organizes community visits for guests to exchange medical and educational supplies for cultural activities.